The truth is that most people do not. Unless you train under Adrenalized circumstances, in realistic scenarios, with an actual threat, the likelihood of responding properly and accurately to a stressful situation are minimal. This is the reason that KSA Martial Academy is bringing you Non-Lethal, Force-on-Force Firearms Training with Simunition FX dedicated training weapons and ammunition, the leaders in non-lethal, force-on-force training. and are designed to teach and train proper response while under fire. 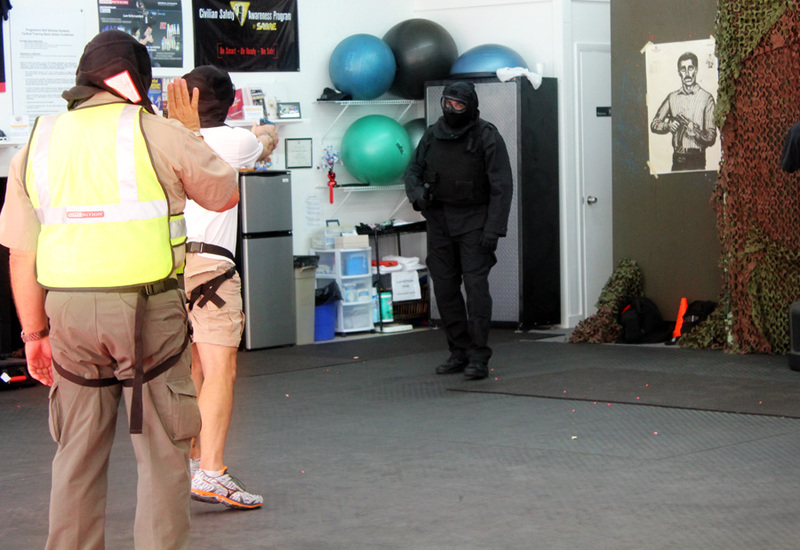 Our chief instructor, Cat Fitzgerald is the first civilian to have been allowed to train and successfully complete the LEO/ Military certification offered by Simunition, and with his many years of experience in training students of all levels in High-Stress, Adrenalized scenarios, is now able to bring Nashville this highly specialized and effective training. Force-on-Force Firearms program for civilians and Law Enforcement and Military Professionals.